Food fit for a King Charles Spaniel. Many of our formulas are only available through independent retailers and each brand is critically evaluated before reaching our shelves. All of our dry formulas are guaranteed, so if your animal won’t eat it or does not tolerate it, you can return it for a full refund. Buy food, get food free! We offer buyer rewards with the purchase of participating brands, as well as 40% off live food when you use our Cricket stamp card. No such thing as barking up the wrong treat around here. 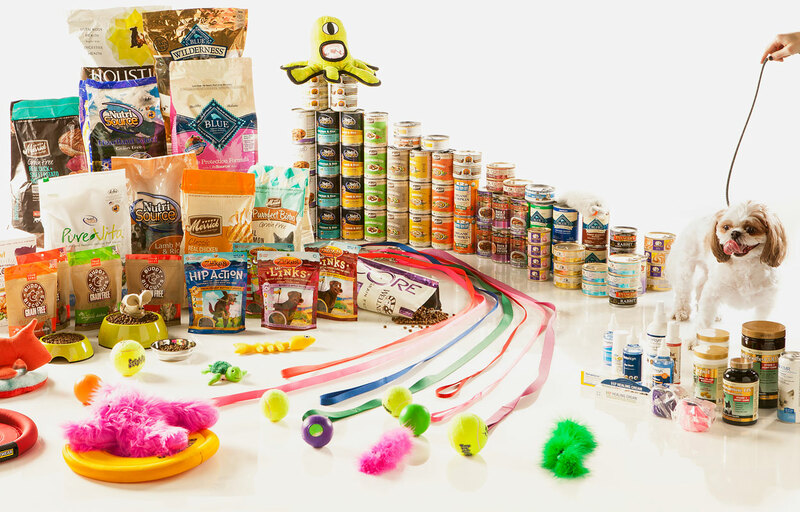 From bouncy balls to bones, to chew toys and feathery feline fun, we have a smorgasbord (we’ve always wanted to use that word) of safe and durable entertainment to keep your pet occupied and exercised. Belly rubs make almost anything better. We’re here for everything else. We provide the best in bandages, gauze, gloves, thermometers, tools, e-collars, topical antibiotic ointments, over-the-counter vaccines, anti-parasitics, miticides, pain relief, dental solutions, and more. We also provide the best in homeopathic remedies, nutraceuticals, pheromone treatments, and ointments.